Good morning, Friends! 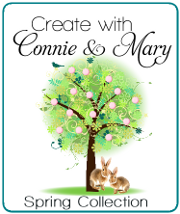 It's time for another challenge at Create with Connie and Mary! This week we have a sketch! Take a look! 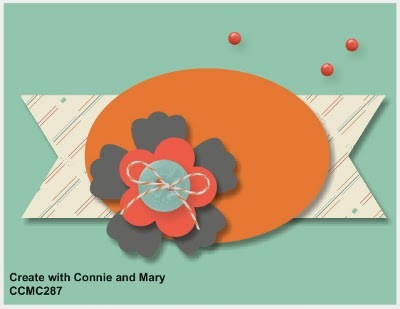 Be sure to visit the Create with Connie and Mary site to see what the rest of the designers did with this sketch! And don't forget to sign up for the Spring Collection! Thanks for stopping by and have a super day! My eye goes right to the flower! Love how you fussy cut it instead of using a round punch. And the center of the flower is such a sweet little embellishment. Love the fussy cut flower - adds something special to the otherwise simple deign. This would be a great card for a class. Darling! 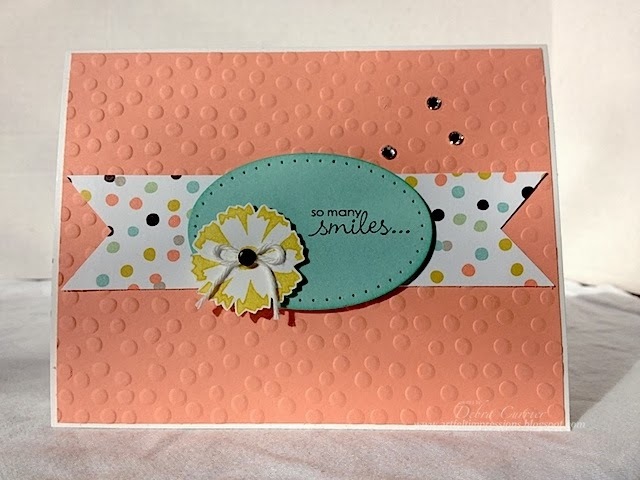 Love all the dots...in the DSP and the embossing! Great card!